If you held a licence for spectrum in 700MHz between 17th October 2014 and 23rd August 2018 you will have received a letter containing a link and unique login code to access the website. This letter is important, but may not have gone to your technical or purchase departments, so you need to track it down. If you do not think you received the letter, but believe you are still eligible, you can call their dedicated helpline on 0121 415 0283. The online system is easy to follow: you need to fill in details about your company, your preferred point of contact, and the details of all the equipment you are surrendering. The website to register can be found here. You need to nominate when you are surrendering the equipment. This can be as early as July this year, or as late as May 2020. Depending on when you surrender your equipment, you may receive more than the 60% value shown on the rate card. This is because compensation has been calculated on the loss of usable service life, so if you choose to surrender it early you have lost more life, and therefore get a slightly higher amount. If your equipment is younger than six years old you will get more, as you have lost a higher proportion of its usable life. The online system will reflect all this automatically, but it is important you put in accurate purchase dates when you detail your equipment so it can be calculated correctly. There is an additional 10% added to the claim automatically by Equiniti to compensate you for the time and logistical cost of having to go through this change. In order to not miss out, you must register yourself and all of your equipment before 26th April. Ofcom has published its long awaited response to the consultation on the 700MHz compensation scheme. The deadline for responding to the proposed rate card is 20 September or soon after. The deadline to respond to the overall Statement and Consultation is 4th October. “The original proposals [from Ofcom] fell short, and since submitting our consultation response, BEIRG has been lobbying hard to ensure that PMSE is treated fairly. Our contact with Ofcom, DCMS and Treasury has been frequent and we have a host of new supporters in Parliament. BEIRG has briefed the Labour, Liberal Democrat and SNP Culture spokesmen who have been vocal in their backing for our campaign. BEIRG would like to thank the UK Government, Ofcom and those from the PMSE community and beyond who have worked so hard to achieve this positive outcome. “On funding, the minimum amount a user will receive is 60% of the estimated replacement cost for a piece of equipment. This was originally set at 47%, a wholly unacceptable figure. Equipment modification will be funded – if not more expensive than replacement. Additionally, Ofcom have agreed to include ancillary equipment in the scheme – this was not included in the original proposals. “Regarding eligibility, the criteria to have at least 50% of the tuning range of a given piece of equipment in the 700 MHz band in order for the equipment to be eligible for compensation has been relaxed to requiring that only some of the tuning range needs be in the 700 MHz band. “The final change is that equipment purchased before 23rd August 2018 is now eligible, previously it was 17th October 2016. Ofcom understands that companies could not stop purchasing equipment to use in 700MHz whilst the process of moving out of the band started and therefore the window had to be much greater. “Ofcom recognises that additional costs will place a burden on stakeholders and are consulting on a 5% mark up to payments made to claimants. This closes on 4th October 2018. BEIRG will be submitting a response to this. “Ofcom is seeking comments on its proposed rate card which can be found here. This is a very short cut-off date and in our meeting with Ofcom we will be requesting an extension. Some pieces of equipment are not covered in the document, which we will be highlighting. The deadline for responding to the proposed rate card is 20 September or soon after. The deadline to respond to the overall Statement and Consultation is 4th October. For more information please contact a BEIRG representative via www.beirg.co.uk or email info@plasa.org. Ofcom has released the proposed grant scheme for pro-audio users when the 700 MHz band is cleared in May 2020. The UK Government tasked Ofcom with designing a grant scheme to help PMSE (Programme Makers and Special Events) equipment owners displaced by the 700 MHz clearance. Ofcom anticipates that the scheme will launch in mid-2019 approximately one year before completion of the 700 MHz clearance programme. The proposed scheme will support PMSE equipment owners that have to vacate the 700 MHz band earlier than expected. Specifically, it will provide PMSE equipment owners with funding equivalent to the residual value of PMSE equipment operating in the 700 MHz band which they need to replace at the time of clearance. Below is a summary of some of the salient points as identified by BEIRG’s political consultants.  All PLASA members who will be directly affected are encouraged to download the full consultation and respond. The headline figure is that eligible claimants will be entitled to 47% of the retail price of their equipment, based on a calculation using the average asset life and average age of all equipment on the market. The scheme will open in mid-2019 and claimants are expected to register their intention to claim before the scheme opens. Claimants must either have held a licence in the 700 MHz band in the past two years (i.e. between 17 October 2014 and 17 October 2016) or be able to produce verifiable evidence that their business is based on hiring out PMSE equipment rather than using it, therefore not requiring a licence. Claimants will only be able to claim for equipment that belongs to them, evidenced by supplementary information including at least one of: receipts, asset register entries, or insurance documentation. Equipment being claimed must be in working order. Equipment being claimed must have more than 50% of its tuning range in the 700 MHz band. Equipment being claimed for must have been purchased before Ofcom issued the notice in the 2016 Statement. Ofcom have taken the view that equipment can only be claimed for if it has more than 50% of its tuning range in the 700 MHz band. Ofcom’s provisional view is that most PMSE equipment that operates below 694 MHz is likely to have a sufficiently broad tuning range to cope with changes in interleaved spectrum access due to the repackaging of DTT. Ofcom also expects that equipment rendered unusable in a specific location below 694 MHz will have a resale value on the secondary market as it will still be usable in other areas of the country. For equipment that straddles the 700 MHz band, Ofcom looked at the tuning ranges of equipment from the two largest PMSE equipment manufacturers by market share. They found that equipment which straddles the two bands either has only a few MHz in the 700 MHz band, or has more than 50% of its tuning range in the 700 MHz band. Equipment with only a few MHz of its tuning range in the 700 MHz band is likely to be substantially unaffected by clearance. Please take time to download the consultation and comment if you are affected by these proposals. 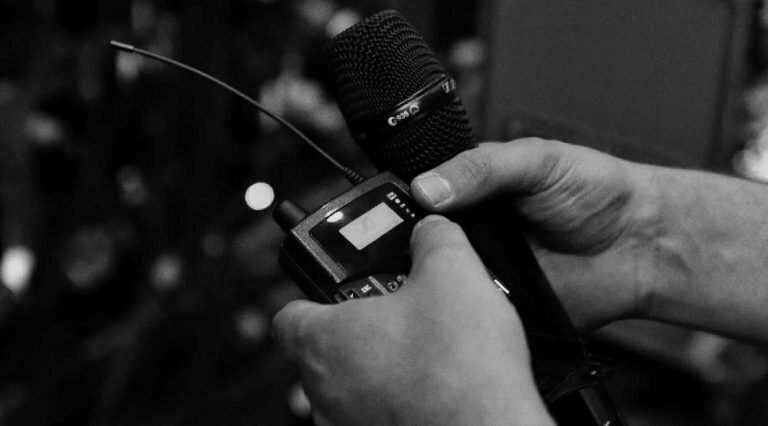 Ofcom has released the proposed grant scheme to assist PMSE (Programme Makers and Special Events) equipment owners when the 700 MHz band is cleared in May 2020. Ofcom will work to accelerate the 700 MHz clearance programme by 18 months and release the band in Q2 2020. The Centre Gap will be allocated for use by mobile downlink at the same time as the 700 MHz paired spectrum. Unless there is slower mobile uptake of the newly available spectrum than expected, DTT will have access to the Centre Gap until 1 May 2020. “We are aware that a major wireless microphone manufacturer and a major PMSE stakeholder are currently testing prototype equipment in the 960-1164 MHz band. We understand that these tests are progressing well to date and suggest that there are no major technical hurdles which would prevent equipment operating in this band from being on the market in advance of an accelerated clearance. The statement constitutes formal notice that access to the band 694 to 790 MHz will cease to be available for use by PMSE from 1 May 2020. As part of its funding for the 700 MHz clearance programme, Government has agreed to fund a grant scheme to support PMSE users who will have to vacate the 700 MHz band earlier than expected. DCMS has asked Ofcom to set up and oversee this scheme and Ofcom will consult on the details later this year. The consultation will include proposals regarding the type of equipment and users that will be eligible for funding. Ofcom anticipates that the grant scheme will launch in 2019. Ofcom have decided to make 20 MHz of the centre gap available for mobile downlink transmission to cater for the growth of mobile data traffic, which has been growing by 60% per year. Ofcom opted for downlink only because the downlink to uplink ratio in a data driven network is now about 7:1, an asymmetry that is not adequately reflected in current spectrum provision. In practice this is likely to mean the centre gap is used for SDL band 67. However, in theory it could refer to other technologies, such TDD downlink only services or MBMS. “Based on the available evidence we therefore do not agree that there is uncertainty around the technical viability of the band. We remain of the view that this spectrum, along with the remaining 470-694 MHz band, adequately provides for the needs of PMSE and we do not consider that allocating the centre gap to PMSE would be an efficient use of the spectrum. There is a risk of the interim multiplexes causing interference to mobile data services in the paired part of the 700 MHz band. Ofcom’s working assumption is that the opportunity cost of delaying the launch of mobile services in the centre gap is higher than the value of spectrum being available for DTT between 2020 and 2023. Therefore Ofcom consider that releasing the centre gap at the same time as the paired spectrum is optimal use of the spectrum. Ofcom will initiate the process to vary the interim multiplexes licence to change the frequencies they use from July 2017 onwards in order to give effect to the decision to accelerate the clearance programme. In August 2017 Ofcom will review the progress of infrastructure work and the target accelerated clearance date of Q2 2020. Ofcom will continue working with Government as it considers what viewer support programmes might be necessary as part of the 700 MHz clearance programme. Later this year Ofcom will consult on the details of a grant scheme to disburse funding to support PMSE users who have to vacate the 700 MHz band earlier than expected.